Last week, we wrapped up Sourcery Academy for Product Managers, a four-week course designed to provide hands-on, real-world experience in the field of product management. The program, designed and organized by Devbridge’s product management team, was a resounding success. Part of improving at any skill is by doing. Then, by teaching others that skill. In teaching and developing the product managers of tomorrow, our team hones its craft, also. The video below recaps the four-week course, explains why we created the program, and why we think it’s important to the product management community—students and instructors, alike. "Sourcery is an opportunity for us to help shape the next generation of product managers in Chicago,” Elijah Chang, director of product management at Devbridge, said. “Product management isn't just a specific set of practices. It’s also a mindset around delivering the right product, in the right way. Our belief is that students took something away from each class that they can apply in an everyday context, whether they're in a product management role today or not." Sourcery Academy has long been a Devbridge initiative to provide technology education and training to all. 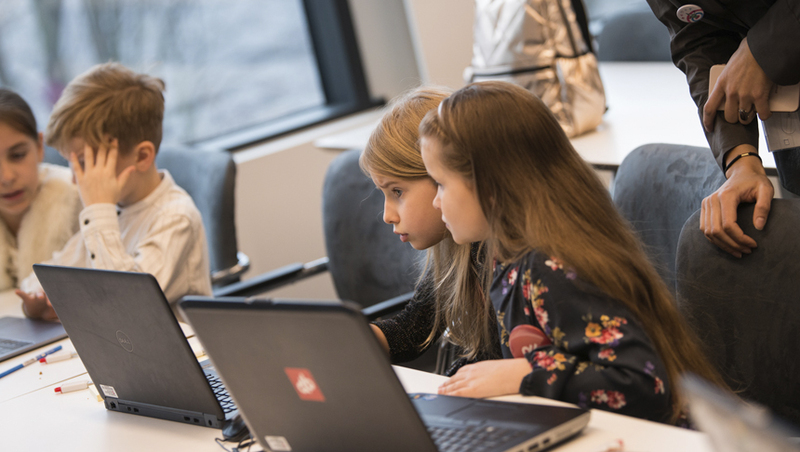 In Lithuania, we’ve hosted Sourcery Academy for Developers, Sourcery Academy for Testers, and Sourcery Academy for Kids, all initiatives that offer students and children hands-on learning opportunities in computer science and IT, free of charge. Due to the success of this program in Europe, we decided to host Sourcery Academy for Product Managers—the first of its kind in Chicago. Due to the success of the program on all fronts, we plan to expand in both Chicago and Lithuania. More updates to come! If you’re interested in participating in future Sourcery Academy events, email us at chicagopmsourcery@devbridge.com. Interested in joining the Devbridge team? We're hiring in each of our five global locations. Check out open positions here.